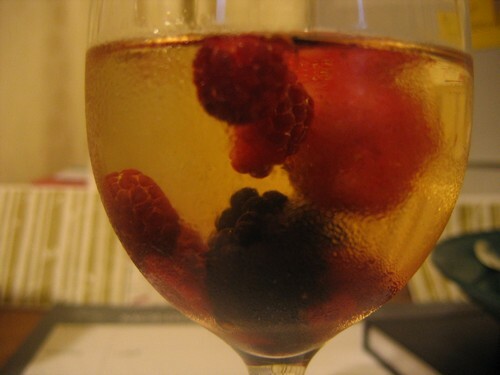 Want to add a yummy, fruity twist to a glass of wine? Add some frozen berries! Not only do they help keep your wine cooler for longer, they will have thawed nicely by the time you finish your drink and be ready to munch on!